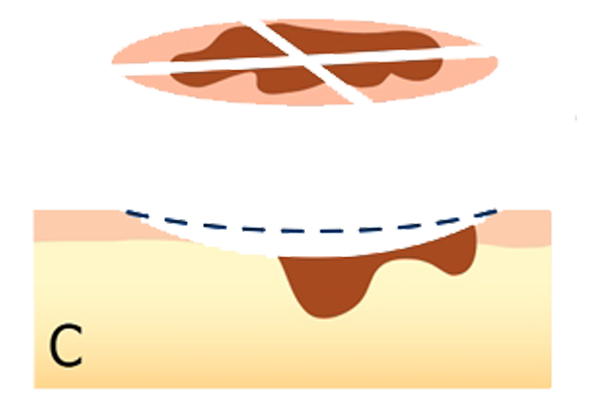 Mohs surgery is the most successful technique for treating the two most common types of skin cancer today – basal cell carcinomas and squamous cell carcinomas. The Mohs procedure is done in stages including lab work, while the patient waits. This approach allows for complete removal of cancerous cells providing the highest possible cure rate. In addition, because Mohs surgery is done in stages, the surgeon is able to spare healthy tissue resulting in the least amount of scarring. Mohs micrographic surgery is the most advanced, precise, and successful treatment for a variety of skin cancer types. 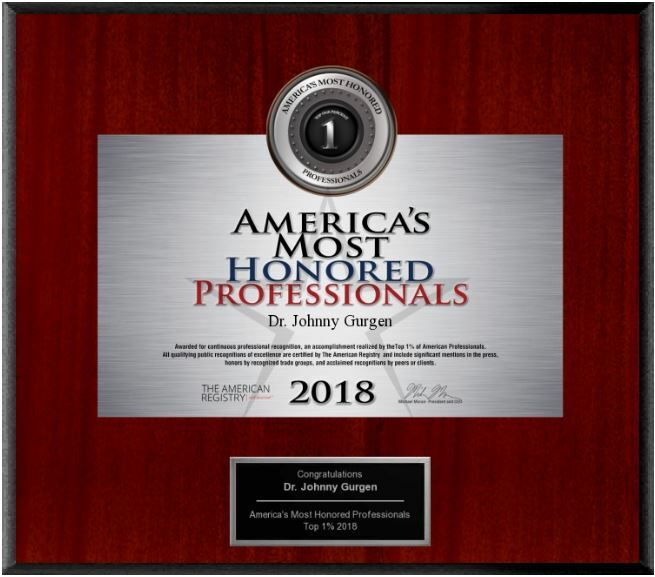 Dr. Gurgen is double-certified in Mohs Micrographic Surgery by the American Osteopathic Board of Dermatology and the American Society of Mohs Surgery. 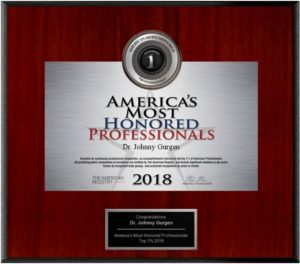 Before starting Leesburg Dermatology & Mohs Surgery, Dr. Gurgen worked exclusively as a Mohs Surgeon, performing thousands of Mohs Surgeries, ranking him in the top 1% of all Mohs Surgeons nationwide. Patients’ Choice Award 7 Years in a Row! 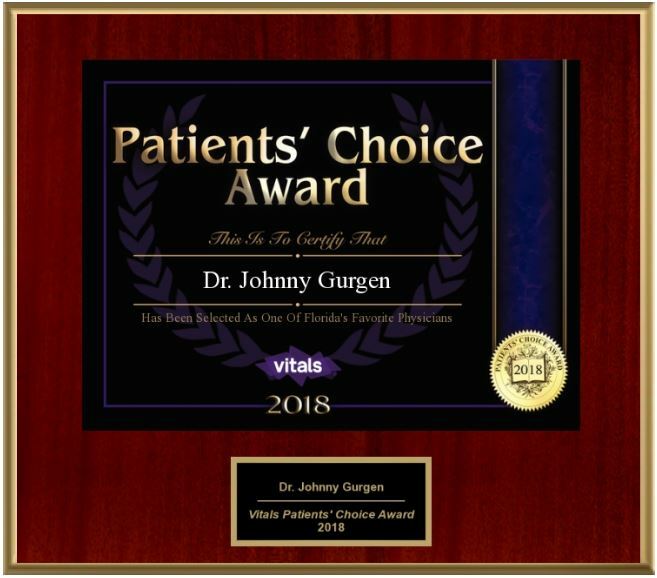 Dr. Gurgen has been recognized as one of Florida’s Favorite Physicians, receiving the “Patients Choice Award” every year since 2012. Quality Measures and Patient Ratings are analyzed to determine the physicians admired most by their patients in communities across the country. 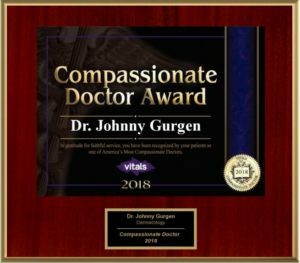 Received for “treating patients with the utmost kindness”, Dr. Johnny Gurgen has been awarded the “Most Compassionate Doctor Award” every year since 2012. 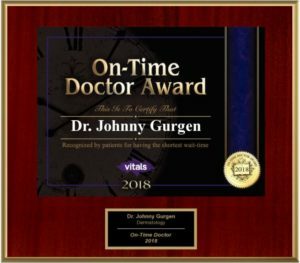 Reported by his patients on a 3rd party site, Dr. Johnny Gurgen received the “On-Time Doctor Award” for the shortest average wait time. If you need Mohs Surgery in Leesburg or the surrounding area, contact Leesburg Dermatology & Mohs Surgery today. During surgery the surgeon examines the tissue specimen for skin cancer cells after each removal of tissue, while the patient waits. Each examination tells the surgeon where to remove tissue next. This step approachy allows for the removal of skin cancer with a very narrow surgical margin and a high cure rate. Because the Mohs procedure is micrographically controlled, it provides precise removal of the cancerous tissue, while healthy tissue is spared. 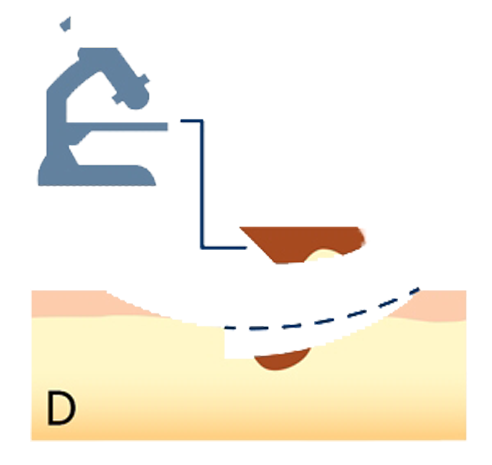 The Skin Cancer Shown in Dark Brown in this diagram. It is Important to note that the Skin Cancer extends below the surface of the skin. Any treatment method must remove the entirety of the cancer to prevent recurrence. The First Step in the Mohs procedure is to surgically remove the topmost layer of the skin cancer. The Mohs procedure then Involves removing the skin cancer in Additional small excisions. The removed layer of skin is divided into sections so that each may be analyzed. Each section is marked and mapped to the source location. Each section is examined microscopically. 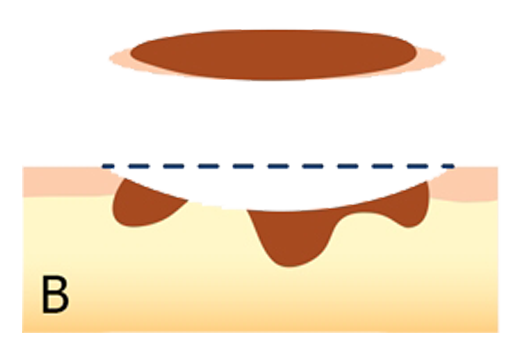 If cancer cells are Detected in any of the sections, these sections are marked so that your Mohs Surgeon can remove additional layers from the corresponding location. This process is repeated excising smaller and smaller sections until no cancer cells are detected. By removing the skin cancer in layers, this procedure minimizes total excision size. Mohs surgery has the highest success rate because it evaluates 100% of the surgical margins. During the Mohs process, skin cancer is surgically removed layer by layer and examined under a microscope by the Mohs Surgeon. This process is repeated until healthy, cancer-free tissue is achieved (clear margins). Because the Mohs Surgeon is trained as a surgeon, pathologist and reconstructive surgeon, the success rate for Mohs Surgery is the highest among all treatments for skin cancer – up to 99%. Other skin cancer treatment methods blindly estimate the quantity of tissue to remove, which can result in the loss of too much healthy skin tissue, or not enough – resulting in cancer re-growth. I can't say enough about this man. He reminds me of a doctor I had when I was a kid. He cares. Took a personal interest in my case. Recommended a doctor to me that he sends his parents to. Dr Gurgen is as concerned as a doctor today as he was when I began going to him eight years ago. His financial success has not changed him one damn bit. His staff is second to none. God bless all of you. Dr Gurgen and his entire staff have always taken the time to explain things to me, and never make me feel rushed. I’ve never had to wait in the waiting room for an appointment which means they value my time as much as their own. I have now had two Mohs procedures, and the care and time Dr Gurgen gives is above and beyond. As a medical professional myself, as my biggest thanks to him and his staff, I will continue to refer him and his office as my choice of Dermatologist! By far, his staff has made my experience much easier with their level of dedication and professionalism. I took my 4 year old son to the Leesburg location and The Villages location and we both loved it there! The PA Chelsea Mathis was so nice and caring. She explained everything thoroughly and was awesome. Everyone was very nice and we didn't wait long. My son calls them the Nice Doctors now. I would highly recommend them to anyone! 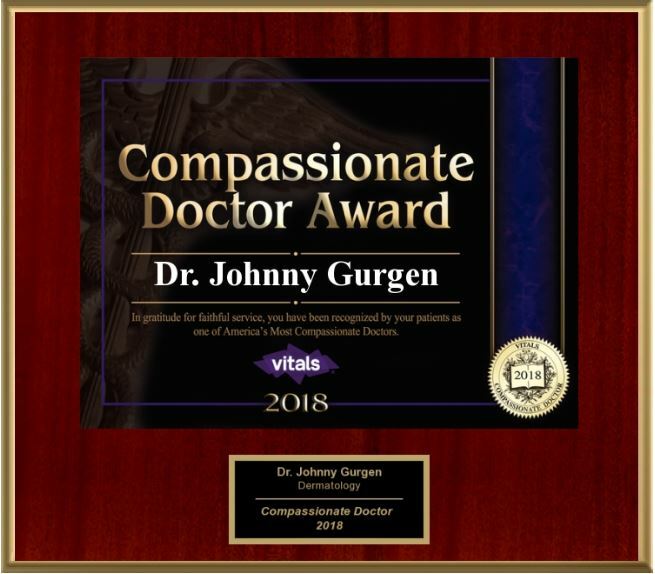 Dr. Gurgen is simply the best physician I know. He is caring, concerned, detail-oriented and accomplished. My husband and I have lived in Florida for over fifty years. Yes, we've had many dermatology challenges. Dr. Gurgen is the one we trust. I recommend him for his superior care, exceptional knowledge and experience. 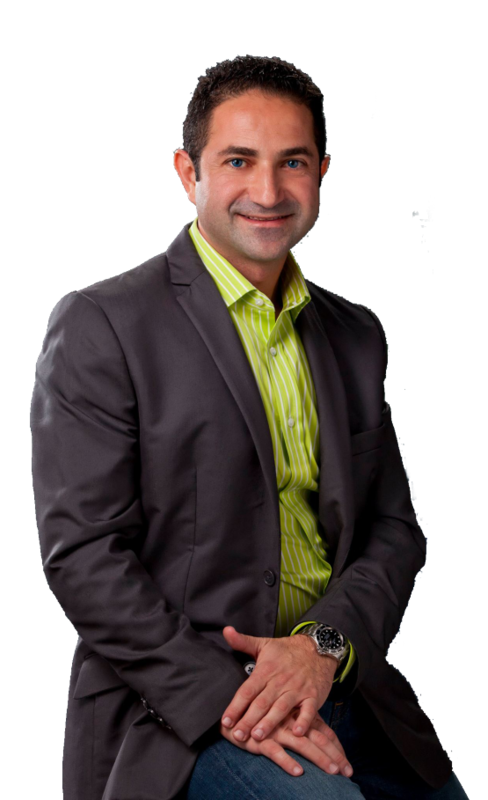 Dr. Gurgen is very professional and has a great way of making a patient feel comfortable. Very caring and desires for the patient to have good results. All of the office staff follow the doctor's lead in being very warm, accommodating and efficient. He is the best dermatologist I've seen. He is thorough and compassionate and he's the only dermatologist I would drive 2 hours to see. His staff is fabulous and the biopsies he took were virtually painless. He can see all my loved ones that's how great he is! He was very patient and compassionate. Took the time to answer all my questions and walk me through the entire procedure and aftercare. I felt very confident with him as my doctor. His entire staff was also exceptional, you can tell his office is a fun place to work. 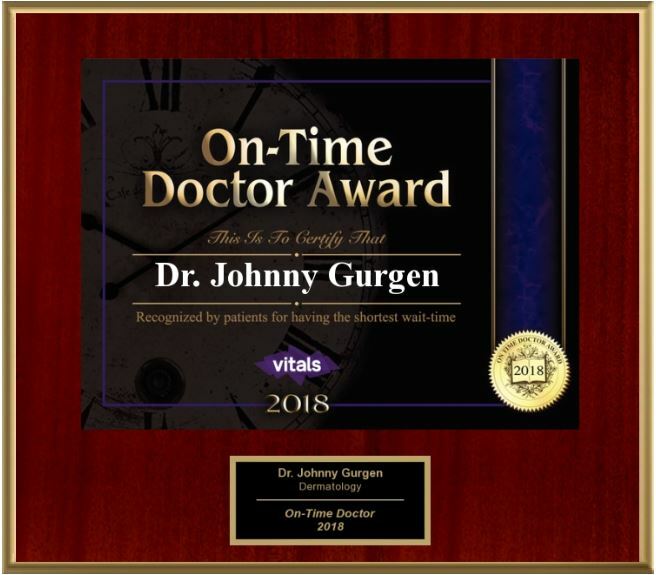 Dr Johnny Gurgen has been mine and my wife's dermatologist for about 4-5 years. Having some bad experiences with another local dermatologist we did some research and found Dr G. From our first appointment my wife and I felt comfortable with his professional and personal demeanor. He makes you feel like you have a "friend in the business" that's also among the best in his field. He runs a "tight ship" which is apparent with his staff's efficiency and courtesy to their patients. I have been a patient at this practice for several years for follow up of both basal and squamous cell carcinoma with my prior Mohs surgeries at the Cleveland Clinic in Cleveland. I recently had a rapidly growing lesion on my forehead. I was able to be seen promptly and had Mohs surgery by Dr Gurgen. Having been a surgeon for 30 years, I found his surgical expertise outstanding with excellent results. He truly has a passion for what he does. Much better than prior experiences elsewhere. Dr Gurgen is a very caring Dermatologist. His staff is wonderful too. He listened to all of my concerns and took very small samples to send to a Pathologist. He just wants to be sure what the condition is. I am confident he will he will help me. I have been to many doctors in my life. Im 62, had 2 leg amputations and other surgeries. I have never had a better expérience than with Dr. Gurgen and his staff. I would like to name them one by one, but there is not enough room here. I just will say thanks to them all.